BEIJING -- Zhao Chunyu remembers the days, a decade ago, when Chinese consumers were willing to pay as much as 100,000 yuan ($14,400) over list price for an Audi A6L sedan. Today, he and his 300 colleagues at mainland China's first full-service Audi dealership are struggling to boost sales, even with 15 to 20 percent discounts and at losses for the dealer of 20,000 to 30,000 yuan per car. "We see the brand like our own child, as almost everyone working here has grown up together with it," said Zhao, general manager of Beijing ZRF Automotive Sales, whose two-story showroom, on Beijing's Third Ring Road in a former residential area of traditional hutongs, is a block away from a new, government-planned financial district full of semi-built futuristic office buildings standing bleakly in heavy smog on a winter's day. "We don't want to give it up easily, and we shall be tolerant of its faults and defects." Troubles for Audi may come as a shock to anyone who thinks of the China market, with its 26 straight years of annual auto sales growth, as a gift that keeps on giving. Yet its over-expansion, combined with the changing nature of the industry in which electric vehicles as well as direct-sales networks might further threaten profits of the dealers, provide a cautionary tale for the other foreign carmakers that have begun to eclipse it. After entering the country in the late 1980s and building an early lead, Audi enjoyed lucrative sales numbers for decades as China's consumer economy took off. Its ascent was built on a reputation that made Audi the quasi-official ride of high-ranking government officials and the de facto standard among privileged businessmen. Near its peak, around 2000, the German brand accounted for about 70 percent of government and state-owned company fleets. Yet Volkswagen Group's luxury brand has stalled. Official cars began ceding way to cheaper and more fuel-efficient models, and by the end of 2014, when the central government dismissed most of its fleet, Audi became almost totally reliant on private buyers. A recent series of corruption probes into senior officials with Audi's partner, China FAW Group, further undermined the brand image and management of its sales network. Audi's sales decline in 2015 -- down 1.4 percent, compared with a 17.7 percent jump in 2014 -- was its first annual drop in more than a quarter century. Latecomer Daimler has come on strong and outpaced its German rival -- evidenced by its newest Beijing location that's in stark contrast to the more staid Audi dealerships: A flashy "Mercedes me" showroom with two restaurants, a cafe and even a juice bar opened in April in Beijing's trendy Sanlitun area, where fashionistas and foreigners gather in the district's crowded shopping malls and entertainment venues. Audi still ranks as the top luxury car brand in China, with about one-third market share, but it's growing much more slowly than competitors. The number of Audi cars sold in China including Hong Kong rose 5.7 percent through November, trailing gains of 11 and 28 percent by BMW and Mercedes, respectively. The overall passenger vehicle market expanded 16 percent in the same period. This year, the volume of sales is poised to expand at a third of last year's pace. When Volkswagen tried to employ a quick fix in November to revive growth, by adding another sales network for the Audi brand with a second joint-venture partner, it ran into a wall. Audi's slowdown and ever-intensifying competition from brands including Mercedes mean once-flush Audi dealers aren't making money on new car sales like they used to. The distributors briefly threatened to stop sales before the automaker agreed to discuss providing them with subsidies. But the plight of Audi's dealers is far from unique, even if the brand's sales continue to stand out as less impressive than gains its peers are posting. Through the first three quarters of last year, about 47 percent of dealers, including those of Chinese-branded vehicles, reported losses to the China Auto Dealers Chamber of Commerce. "Dealers failed to enjoy a dividend in the rapid expansion of new car sales this year, and the percentage of loss-incurring enterprises is actually high," said Zhu Kongyuan, secretary general of the China Auto Dealers Chamber of Commerce. "As the development of new-energy vehicles and the Internet shake up the sales network, what happened to Audi can be repeated." China's seemingly never-ending annual sales growth motivated carmakers to add more and more dealers, prompting analysts at Sanford C. Bernstein to question in a report in December 2015 whether it made sense for VW, General Motors and Nissan to have almost as many stores as McDonald's, KFC and Starbucks. Too much competition, they argued, sometimes even against neighboring stores selling the same brand, would act as a catalyst for pricing pressure and declining profitability. "The Chinese market is more volatile and competitive than ever," said Johanna Barth, a Beijing-based Audi spokeswoman. "We take the interests of our dealers very seriously and will continue to address these interests in direct and open talks with our network partners." 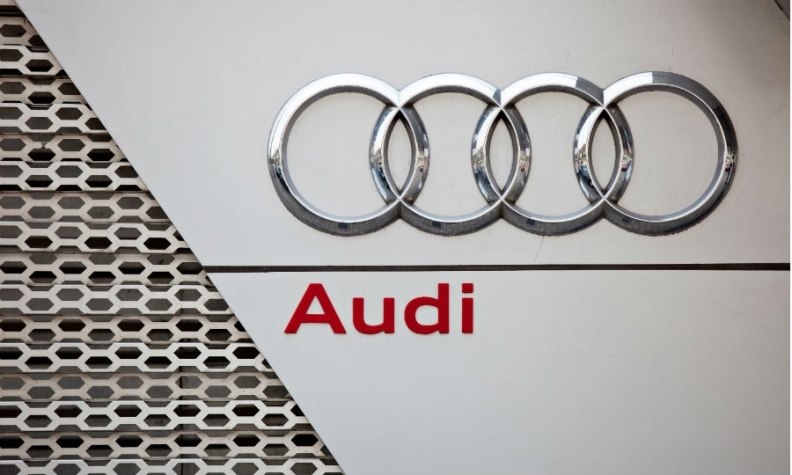 Most Audi dealers, who belong to a joint venture between the German automaker and China FAW Group, didn't earn profits the past two years, according to Xiao Zhengsan, secretary general of the China Automobile Dealers Association. While Mercedes ranked highest among luxury car brands also including Toyota's Lexus, BMW and Cadillac in a dealer satisfaction survey by the China Auto Dealers Chamber of Commerce, Audi ranked last. Dealers initially threatened to stop sales if Audi carried out a plan to form a second joint venture with SAIC Motor Corp. and expand its China sales network. The carmaker plans to add 50 more stores by the end of 2017, bringing the total to 500. Volkswagen's talks with SAIC about manufacturing cars and new-energy vehicles together have continued, though discussions about cooperating on a sales network are on hold until as late as March. "With the emergence of second-tier luxury brands such as Cadillac and Lexus, the luxury carmakers are competing with each other on the verge of a price war, sacrificing the dealers' profits," said Julie Chen, a Guangzhou-based automotive analyst with WAYS Consulting Co. "The new joint venture with SAIC may prove to be the straw that breaks the dealers' backs."